A brief note and another on Newt Gingrich's entering into full communion with the one, true Church. 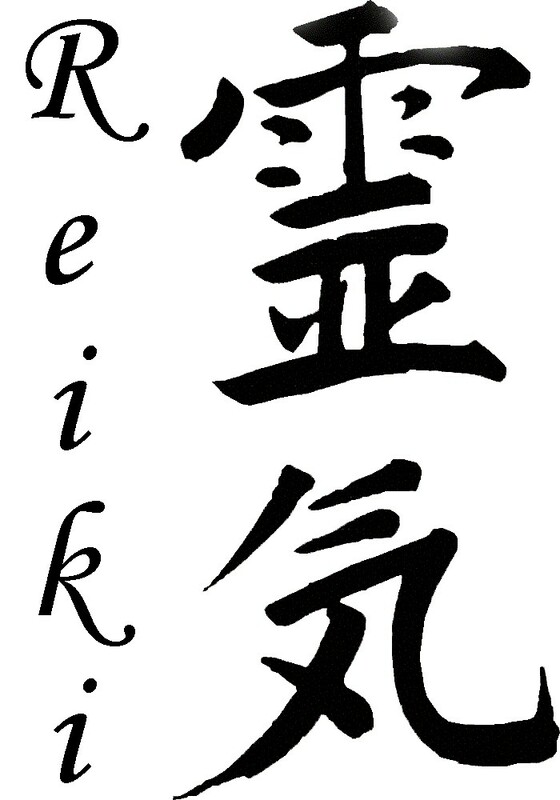 The US Bishops' Committee on Doctrine approved on March 24th and released on the 25th the Guidelines for Evaluating Reiki as an Alternative Therapy. Read the Guidelines for yourself. I suppose this important stuff; I usually look for liturgical heterodoxy and various heretical teachings first...but the bishops have a point. 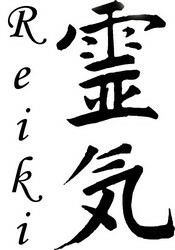 Since I am not a life force, universal or otherwise, I'll throw away my Reiki books. Last autumn, www.ilsussidiario.net, an internet news portal edited by the Foundation of Subsidiarity directed by Giorgio Vittadini, sponsored a special "On the Spot" section with articles from US-based writers on aspects of the presidential election. This was a start for what will now be a new regular English-language section of the site. The editors are happy to announce the birth of the English section of the daily "Il Sussidiario" divided in three sections: Politics & Society, Economy & Finance, Culture, Religion & Science. The "On the Spot" section will feature news and opinion pieces on all aspects of life in the USA and English speaking countries, with our particular judgment on events. (N.B. Monsignor Lorenzo Albacete writes a column every week). It will include interviews and articles from experts as well as regular reporters. You've got to read the article, Benedict's Vatican II Hermeneutic in First Things! Observing the 200th anniversary of Charles Darwin's birth, the Vatican's Council for Culture, the Gregorian Univ. and the Univ. of Notre Dame gather a diverse group of intellectuals to discuss the matrix of faith and science, especially evolution. Watch the video clip. A story from before the congress published by The Pew Forum on Religion and Public Life: Religion News, is informative. I tend to think that Americans, like other nations, may not identify with a particular religion yet have some sort of "religious" belief(s), some of them strange. I'm unconvinced at this time that Americans give up totally on some vague sense of faith as they might give up on the practice of the faith. We have our work cut out for proposing the beauty of Christ. In 2008 Georgetown University Philosophy professor Tom L. Beauchamp coauthored Principles of Biomedical Ethics, a widely used book in bioethics courses, in which he sanctions and defends "physician-assisted dying." So much for professors at so-called Catholic universities either thinking with the Church or at least not publicly contradicting Catholic teaching. Is this beyond the exercise of academic freedom viz. faith and reason? It's interesting Beauchamp received the Pellegrino Medal in 2004 which honors recipients for contributions made in healthcare ethics following the spirit of the father of the American bioethics movement, Dr. Edmund Pellegrino. Pellegrino is a practicing Catholic and on faculty of Georgetown. Washington State approves suicide as a "right": Is it truly death with dignity? Voters in the State of Washington approved Initiative 1000, the so-called Death with Dignity Act in November. According to the media it's modeled closely the Oregon law allowing physicians to prescribe lethal doses of medication to terminally ill patients determined to have six months or less to live. Oregon's suicide law is now 10 years old and Washington has become the second American state to legalize assisted suicide. As a result of last year's state ballot Initiative 2000, terminally ill patients in Washington State can now obtain lethal medications from doctors in order to kill themselves. Washington's hospitals are now forming a suicide plan to facilitate this newly found "right." Suicide is a tragedy. People who elect to do this act are not thinking in a right manner and are looking for a way out of their pain, sometimes they say they want to ease the pain of loved ones who care for them. Whatever the reason for acting this way is, their desperation leads to a permanent self-inflicted act leading to their intended death. Suicide prematurely and violently leaves loved ones to pick up the pieces post-mortem. Many are physically, emotionally and spiritually exhausted from their health issues which is understandable: chronic illness can be painful but suicide is an inadequate way to deal with the harsh reality of life. The Church's teaching is: "Suicide contradicts the natural inclination of the human being to preserve and perpetuate his life. It is gravely contrary to the just love of self. It likewise offends love of neighbor because it unjustly breaks the ties of solidarity with family, nation, and other human societies to which we continue to have obligations. Suicide is contrary to love for the living God" (Catechism, 2281). But quoting the Catechism is insufficient in dealing with the issue at hand. Let's not be confused: we need to know and follow what the Church teaches. Her wisdom is immensely reliable and it ought to form our conscience. Here I want to raise the matter of dealing with the issue pastorally, lovingly with courage and strength. No statement of teaching is going to ease the pain of illness or feelings of desperation. Only the love and mercy of the one who made us can do that. The Lord loves and cherishes each one of us, and He gives the grace to sustain us until the moment of natural death. The Lord knows our pain and our human struggle because He is a man. What the Washington and Oregon state laws do is replace the love the Lord and family offer us with a cold mechanism releasing us from our human need. These laws replace the reality of humanity with a cold, shallow perfunctory "right" that gives a person the possibility of hurting themselves and family and friends deeply not to mention it wounds their relationship with the Lord (whether they know it or not). Responding to the poignant human need of those who face the hard fact of someone taking their own life, the Catholic Information Service commissioned a booklet dealing with this subject. It was our effort to help those who are looking for truth and love and the assistance of the Church. You can order a copy of Coping with a Suicide: Catholic Teaching and Pastoral Practice by emailing or calling the office (cis@kofc.org or 203.752.4267and tell them you saw the ad here) The feelings of sadness which result from the violence of suicide are never removed from the hearts and minds of the survivors even if they try to believe that Auntie is in a better place (a saccharine nosegay that whitewashes the pain temporarily). While the deceased is in the hands of God and clearly live in His mercy, we can never be presumptuous to believe that it is "alright" because "God will deal with it": the reality life is far more important than me and my own needs. The act of suicide is an act of desperation; the person who does (or thinks of committing the act) acts from feelings of exhaustion, fear, and a false sense of security. Our human response needs to be love. Our response as Christians needs to be one of faithfulness to the Lord who made us and it is He who will call us home, and it is our responsibility to be agents of reconciliation showing mercy and forgiveness. This page is a archive of entries in the Faith & Reason category from March 2009. Faith & Reason: February 2009 is the previous archive. Faith & Reason: April 2009 is the next archive.